This conservation resource was created by Alexis Gottfriedson, Alisha Lettman, HyunGu Kang, and Shesley Callison-Hanna. The Colorado river delta was once a thriving and biological productive region, which spanned two million acres across Northwestern Mexico. However, by the middle of the twentieth century, the Colorado river began to be diverted and dammed for irrigation, triggering the collapse of the extensive delta ecosystem. The Colorado river spans from the Rocky Mountains in Wyoming through Western Colorado, New Mexico, Southeastern Utah, Nevada, California, and Arizona, eventually draining into the Pacific Ocean through the Gulf of California in Mexico. There are fifteen dams on the main tributary of the Colorado river. Since the 1963 construction of the Glen Canyon Dam, the last 100 miles of the river rarely reaches the ocean; resulting in a barren delta, reduced to a tenth of its former self. The Cucapá people, native to this area, sustained themselves for hundreds of years off the delta; relying on the delta’s nutrients to support fish stocks and nourish the soil for agricultural practices. The Cucapá’s livelihoods have been decimated since the early 20th century’s agriculture and population booms upstream constricted the rivers flow. In the 1980s, awareness of the delta’s biodiversity decline lead to conservation efforts on national and global scales. In turn, leading to the delta’s designation as UNESCO Biosphere nature reserve, which came into effect in 1993. The area is also currently a no-fishing zone. In 2012, the US government, The Nature conservancy, and the Government of Mexico collaborated on treaty Minute No 319 to address water management in the River Basin. A historical first pulse of water in 2014 lead to restored flow and gave life to the dry delta. This treaty will go under review in 2017. 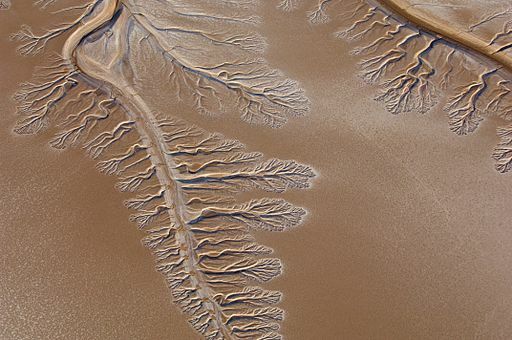 The Colorado River Delta has a rich history that has had an enormous impact on many people. Particularly to the Cucapá, the "people of the river". The Cucapá thrived and used the diverse delta as a home for hundreds of years. In 1922, the first agreement- the Colorado River Compact was signed, the intention of the agreement was to have a structured way in which to manage the river basin. This agreement did not involve the Cucapá, or the Mexican Government. The Upper Colorado River Basin Compact of 1948 was created to dictate specific extraction levels per State-, thus ensuring there was an equal distribution of water in the Colorado River System. This compact involved the five upper states that the Colorado River runs through: Arizona, Wyoming, Utah, New Mexico, and Colorado. The Colorado River Storage Project of 1956 was an act designed by the United States Bureau of Reclamation to further manage the upper states' water storage facilities, flood control, and hydroelectric power. In 1964, The Arizona vs. California U.S. Supreme Court Decision was made. This law was put in place to settle the multiple disputes of water allocation per state concerning the Colorado River. In 1973, Minute 242 - Permanent and definitive solution to the international problem of the salinity of the Colorado River (IBWC) was passed. This act was created to asses and resolve the excess salinity in the water that was transported to Mexico. The near toxic salinity levels were due to the lack of understanding of the hydrological process, and Minute 242 was set to rectify this issue. Minute 317 - Conceptual Framework for U.S. Mexico Discussions on Colorado River Cooperative Actions (IBWC), this discussion took place on June 17, 2010. The purpose of the discussion was to address the binational agreements, and to insure that the cooperative objectives and opportunities, for the utilization of the water rights, are being met. The Colorado River is one of the major rivers that runs through seven southern states in the U.S. and through two Northern states in Mexico. The river has a total length of 2,334 km, and a basin with an area of 637,137 km2. There are eleven U.S. National Parks that surround the Colorado River. The riparian zones within the basin were once the most biologically diverse areas, even though they make up the smallest area within the basin. The Colorado River is known to have more than 1,600 species of flora. Non-Governmental Organizations (NGOs) have made numerous contributions towards the restoration of the Colorado River Delta. Within this project there are five NGOs that are committed to the cause: Pro Natura, the Sonoran Institute, The Redford Centre, Audubon, and the Nature Conservancy. The five NGOs work alongside the Mexican Government and the Government of the United States of America to ensure that the binational water sharing agreement succeeds. This agreement is known as Minute 319. The NGOs negotiate, raise money and awareness to secure water rights in an effort to restore the rich biodiversity of the Colorado River Delta. The Gulf of California has not seen water for decades, but is now starting to flourish due to the efforts of the five NGOs. The project is known as “Raise the River” and its goal is to raise 10 million by 2017. The NGOs are also trying to extend the water agreement which expires on December 31, 2017. Both the American and Mexican governments have played an active role in adjusting policies in attempt to revitalize the Colorado river delta. In 2012, the American and Mexican governments signed the bilateral agreement Minute 319, which provides amendments to the 1944 water treaty. This agreement allowed for a regeneration of water known as a ‘pulse flow’, which allocates one percent of the Colorado river’s annual flow to the delta. The ‘pulse flow’ is crucial to the restoration of the delta. The agreement also allowed for Mexico and the United States to collaborate and discuss solutions to environmental issues. Both countries agreed that in times when the Colorado river produces surplus water that Mexico will receive some of the surplus water, and therefore is not limited to their previously established ten percent. However, in periods of drought Mexico's delta will receive cutbacks in water flow. Numerous stakeholders have legal, traditional, and jurisdictional claim over the Columbia river watershed. Claims to the area of the river that was historically occupied by the Cucapá are further complicated by the shifting border between the United States and Mexico, each nation associated with a unique set of histories, actors, and legal frameworks. Indigenous peoples, government representatives, and non-governmental organizations (NGOs) within each nation-state have arrived at their own conclusions as to how the culturally significant watershed should be managed. Many NGOs have long been aware of the cultural significance of the river to the Cucapá people, but only recently has there been discussion of the Colorado river as a cultural keystone. NGO involvement with restoration of the Colorado river has revolved around the Raise the River campaign, led by a coalition of five Mexican and US organizations. In 2012, the Raise the River campaign was integral to brokerage of Minute 319. Negotiations were put to action in March 2014, when over 105 000 acre-feet of water were released from the Morelos Dam in the United States to parched delta ecosystems in Mexico. Two months later, the water had reached the Sea of Cortez, marking the first time in decades that the Colorado river ran to the sea. After the minute-pulse, the coalition behind the Raise the River campaign played critical roles in ecological monitoring and active restoration of the delta. The Minute 319 science team, supported by the Sonoran Institute, the Nature Conservancy, and the University of Arizona, tracked the pulse flow and established long-term monitoring sites in endangered basin ecosystems Audubon and the Nature Conservancy generated grassroots support within the US for Colorado river restoration, and the Sonoran Institute and Pronatura Noroeste co-founded the Colorado River Delta Trust to manage water acquisition for delta restoration programs in Mexico. The NGO project with most direct ties to the Cucapá is the Las Arenitas treatment wetland along the Rio Hardy. Las Arenitas lies in close proximity to the growing Mexican state of Mexicali. It is the site of a wastewater treatment plant whose capacity was overwhelmed in just two years, leading to the release of inadequately treated wastewater into the Rio Hardy. Consequent hygiene, odour, and aesthetic issues wreaked havoc on local ecosystems and caused a decrease in property values, sparking an outcry from residents of the area, including the Cucapá. Pronatura Noroeste and the Sonoran Institute then began negotiations to construct a wetland adjacent to the wastewater treatment plant, securing 30% (8000 acre-feet, at current plant capacity) of effluent to sustain the lower Colorado delta annuallySince project initiation in 2007, the project has reached 70% completion and restored 250 acres of wetland habitat. In a rarely happy marriage between ecologic and economic priorities, property prices have risen along with delta health, with remarkable spikes in population and breeding activity of rare and endangered bird species, including the Yuma clapper rail. A complex and long-running history of water control in the American West has produced the “law of the river,” a “massive collection of treaties, compacts, and court decisions that dictate water distribution, determined by the problematic legal principle of “beneficial use”. Indigenous resistance and the lobbying of environmental groups has prompted critique of the “beneficial use” principle, which disallows undiverted river flow, restricts water allocation to the exclusive use of nation-states, and does not integrate ecological realities into the dominant economic paradigm. An international groundswell of support for the restoration of the Colorado river pushed the governments of the United States and Mexico to negotiate Minute 319, a historically significant pulse-flow that released 1% of the river’s historic water volume to deltas near the Sea of Cortez, which had been dry since 1998 Minute 319 encompassed a host of normative frameworks for water storage in times of surplus and water use in times of need. It has been hailed as the most significant development in US-Mexico hydraulic relations since the Treaty of 1944 Signed in November 2012 under a five-year term, it will undergo renegotiation in 2017. Minute 319 was successfully brokered in spite of (and perhaps even due to) the impending threats of climate change and prolonged drought. While it is laudatory that US-Mexico negotiations remained collaborative under such high stakes, Minute 319 does not dismantle the power dynamic between upstream and downstream river communities, centering negotiations around allowances to Mexico rather than the allowances of American states and municipalities. To dismantle the political framework that allowed such rapid depletion of Colorado river water reserves, it will become necessary for governments to confront the longstanding paradigm of the American West: “Whoever controls the river, controls the whole watershed." The Cucapá tribe have rejected government and NGO attempts to erase Indigenous land and water claims from the dominant narrative surrounding the Colorado river. Cucapá teachings speak of precious water and wetlands brimming with life, and, in spite of vast reductions of waterflow and a subsequent rise in aridity in the late 1900s, the Cucapá have maintained that restoration to a state resembling historic ecological conditions is not only possible but mandated by their cultural commitments to the river. A central theme of Cucapá remediation strategies is access to traditional fishing grounds. The size of the Cucapá economy was greatly restricted by construction of dams in upstream branches of the river under US jurisdiction including the famed Hoover dam, which reduced Colorado river flow by over 90% . Such reductions in lower river water flow has had long-term, severe, and material impacts on the Cucapá, many of whom have turned to seasonal agricultural labour and narcotrafficking for subsistence in a newly imposed wage economy. The Cucapá's interest in restoration is thus primarily social and economic, though it should be noted that many Cucapá community members have expressed frustration at the strictly delineated understanding of outsider conservationists, which lie in stark contrast to the Cucapás' more holistic worldview. In the short-term, the Cucapá have called for a continuation of minute-pulses to restore wetland and riparian vegetation, followed by sustained baseflow to induce the return of economically significant Gulf corvina, totoaba, and shrimp (EDF). Cucapá fishing claims are of particular significance in the southernmost stretches of the Colorado river, where freshwater makes contact with the Selton Sea in estuaries that have been choked for lack of water since the 1980s. Though the Cucapá are traditionally a fishing people, many members of the Cucapá tribe have turned to agriculture in the years following strictly regimented flow in the 1970s. These Cucapá farmers call for the prioritization of irrigation in addition to ecological restoration. They advocate for minute pulses and reallocation of water surpluses, water in storage, and tribal winter reserves. According to Dona Inocencia, an elder and traditional knowledge keeper of the Cucapá, “Without the river, we are destined to become extinct”. Despite varied economic strategies, the Cucapá have been united in calling for restoration along the full flow of the Colorado river, including a long-term return of the river to the Sea of Cortez. The Río Hardy – currently the epicentre of the Cucapá community – lies directly north of historic estuaries that have been cut off from water for almost 30-40 years. In this region, the Cucapá form a significant portion of the Ecological Association of Users of the Hardy and Colorado Rivers (AEURHYC), an invaluable community partner for many restoration projects undertaken by Pronatura Noroeste and the Sonoran Institute. Almost 15 years prior to Minute 319 and the formation of the Raise the River coalition, the Cucapá and AEURHYC were already leading restoration efforts in wetlands of the Rio Hardy, which had shrunk from over 66 000 ha in 1989 to just 2000 ha in 2001. The Cucapá and AEURHYC more broadly have since provided invaluable support for NGO efforts in the Colorado delta. In addition to physical labour and traditional ecological knowledge, the Cucapá have also been heavily featured in promotional materials regarding the Raise the River campaign, especially in "Watershed" (2012), the film released by The Redford Center in support of Colorado river restoration. Non Governmental Organizations have made huge gains environmentally stewarding the Colorado River Basin. As with all projects, there are always recommendations that can be made. Disappointingly, in agreement Minute No 319 the Cucapá did not have a major role in decisions that were made concerning the restoration of the river. If the project is approved to continue into January 2018, the Cucapá should be taken into a higher accord and be able to be involved in decisions that are made. As the people who have evolved with this river, to restore the environment and increase biodiversity is also to nourish the source of their culture and traditions. The negotiations for minute 319 spanned five years, and although minute 319 was a historic agreement, it did not appease everyone. Furthermore, minute 319 did not change previous terms set in place by the 1944 water treaty. In fact, the Mexican government had to secure commitment for the United States that Mexico would continue to receive ten percent of the Colorado river’s annual flow. Many people involved in the agricultural industry on both sides of the border were concerned about the implications of minute 319. In this era of environmental uncertainty, it’s important that both governments actively engage in discussions and address the concerns of the locals, who will be directly impacted. The Colorado River delta is an excellent example of restorative environmental justice. Hopefully, in the coming year the government’s will recognize the positive impacts of minute 319, and continue to uphold the agreement. Through Non Governmental Organizations, and both the Mexican and United States Governments, the Colorado River, has been tremendously improved within the last few years but there is still a lot of progress that can be made. The Raise the River program has been extremely successful in securing water rights, and if this program can continue, the delta will have a chance for further restoration, and once again become a flourishing ecosystem. Further community engagement is needed in continuing the rebirth of the delta. As part of the restoration efforts the government of Mexico has allocated jobs for some of the community members, to be actively involved in the restoration of the delta, this includes twenty five temporary jobs and six permanent jobs. In order for survival and restoration of the delta, it is imperative that minute 319 continues stays in place. ↑ The Sonoran Institute. (2011). Colorado river delta restoration project: a plan of action. https://sonoraninstitute.org/files/pdf/colorado-river-delta-project-a-plan-of-action-prospectus-10152011.pdf: The Sonoran Institute. ↑ Muehlmann, S. (2013). Listen for when you get there. In S. Muelmann, Where the river ends (pp. 25-54). Duke University Press. ↑ Zamora-Arroyo, F., Pitt, J., Cornelius, S., Glenn, E., Hinojosa, O., Moreno, M., Garcia, J., Nagler, P., de la Garza, M., Parra, I. 2004. Mapping conservation priorities in the Colorado river delta, Mexico: a state-of-knowledge workshop. Prepared by the Sonoran Institute, Environmental Defense, University of Arizona, Pronatura Noroeste Direccion de Conservacion Sonora, Centro de Investigacion en Alimentacion y Desarrollo (CIAD) and World Wildlife Fund-Gulf of California Program. ↑ Hatcher, B. (2015). Colorado river delta program. https://sonoraninstitute.org/files/Delta-2015-030415-v1-lores-002.pdf: Sonoran Institute. ↑ US Bureau of Reclamation. (2017). Lower Colorado river operations. Retrieved from US Bureau of Reclamation: https://www.usbr.gov/lc/riverops.html. ↑ Muehlmann, S. (2012). Rhizomes and other uncountables. American Ethnologist, 339-353. DOI: 10.1111/j.1548-1425.2012.01368.x, p. 340. ↑ Flessa, K., Kendy, E.,& Schlatter, K. (2016). Colorado river limitrophe and delta environmental flows monitoring interim report. International Boundary and Water Commission, United States and Mexico.